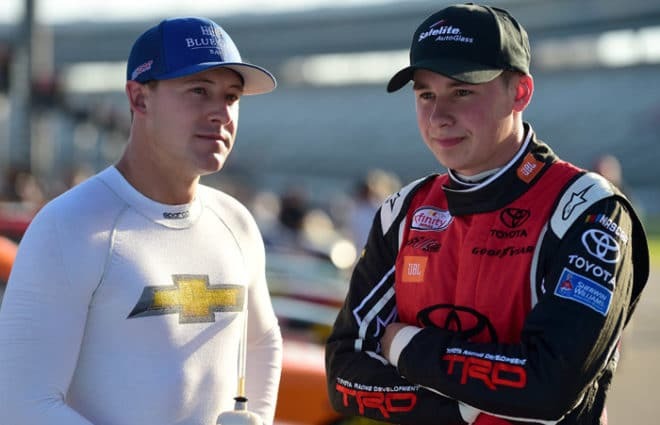 Playoff drivers Daniel Hemric and Christopher Bell will lead the NASCAR XFINITY Series field to the green flag in Saturday afternoon’s Hollywood Casino 300 at Kansas Speedway. 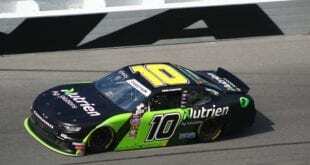 Hemric’s 183.955 mph lap was enough to give him his fourth pole this season in the first race to set the Championship 4. 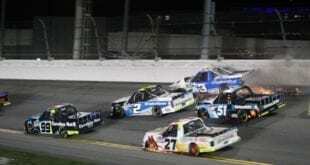 In his only other XFINITY Series race in Kansas, Hemric finished 18th last season, however, he did have a pair of top-10 finishes in the NASCAR Camping World Truck Series, including a third-place result in 2016. 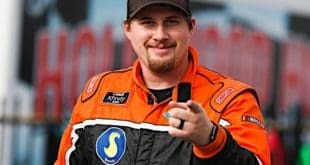 Justin Allgaier will start third. Meanwhile, Austin Cindric and Brandon Jones posted identical laps at 182.254 mph to round out the top five. Cindric takes the tiebreaker based on owner points. Tyler Reddick will roll off sixth, followed by Ryan Preece. Shane Lee, Matt Tifft and Cole Custer round out the top 10. Elliott Sadler and Chase Briscoe will start 11th and 12th, respectively. 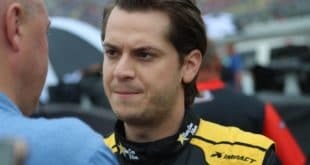 Quin Houff, who announced Friday that he’ll finish the season behind the wheel of the No. 15 for JD Motorsports Chevrolet, qualified 31st. With just over one minute remaining the first round, NASCAR threw the red flag after Mike Harmon and Morgan Shepherd both spewed heavy amounts of water. The clock stoppage bought time for Ryan Reed, Ryan Truex and John Hunter Nemechek to make it through inspection and get on the track in time to post a lap. Jeremy Clements and Max Tullman weren’t as lucky and failed to post a lap. Tullman, along with Shepherd and Bayley Currey, failed to qualify. In Currey’s case, he was 31st in the first round of qualifying before the red flag was flown. The extra drivers setting times dropped him to 34th, outside of those locked in on speed. The Hollywood Casino 300 will go green at 3 p.m. ET on NBC. The first two stages will run 45 laps apiece before the final stage of 110 circuits.